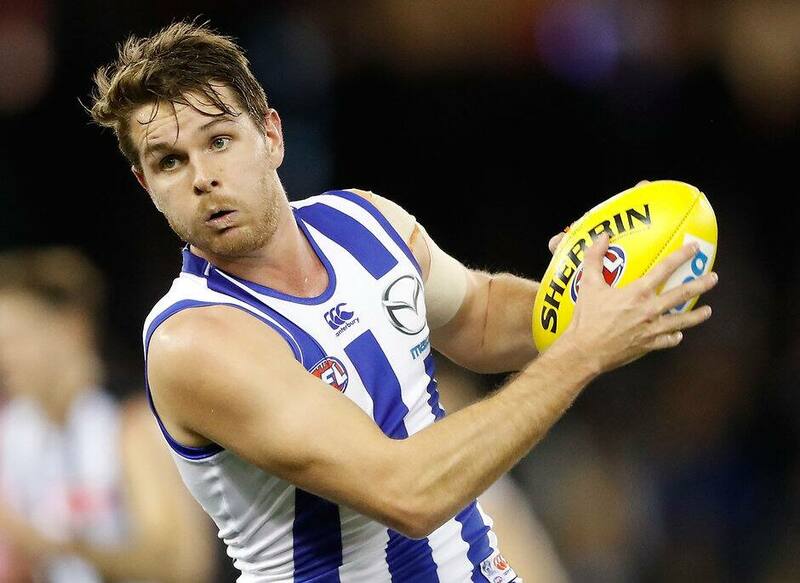 NORTH Melbourne has made two more delistings, with Joel Tippett and Brad McKenzie cut from the list. The pair joins Brent Harvey, Drew Petrie, Nick Dal Santo, Michael Firrito and Robin Nahas as being among those not offered contracts for next season. Farren Ray also won't be at North in 2017 after he retired. "These decisions are always tough," football manager Cameron Joyce told nmfc.com.au. "Both Brad and Joel have been great contributors during their time with us and we sincerely wish them all the best. Hopefully they can continue their AFL careers because both are very capable players." Tippett, who turned 28 on Wednesday, is the younger brother of Sydney Swans ruckman Kurt and previously spent time at the Brisbane Lions and Gold Coast. The key backman didn't play a game in 2016, appearing in seven matches overall for North after two with the Suns. Mackenzie played 14 matches in the senior team this season to take his career tally to 37 after being drafted at No. 18 in 2011. Aaron Black was traded to Geelong over the NAB AFL Trade Period while Daniel Wells left for Collingwood as an unrestricted free agent. Meanwhile, the Kangaroos brought in Marley Williams from Collingwood, Nathan Hrovat from the Western Bulldogs and Paul Ahern from Greater Western Sydney.